My soil used to be wonderful! I bury all my green refuse (apple peels, carrot shavings, etc). I had lots of big fat worms. Then the ants moved in. I have four big ant hills. I do not see the hills, just the ants. Now there aren't any worms to be found. How do I get rid of these ants? They are black and bite. Hi Liz, that certainly is a bit disheartening - the nerve! 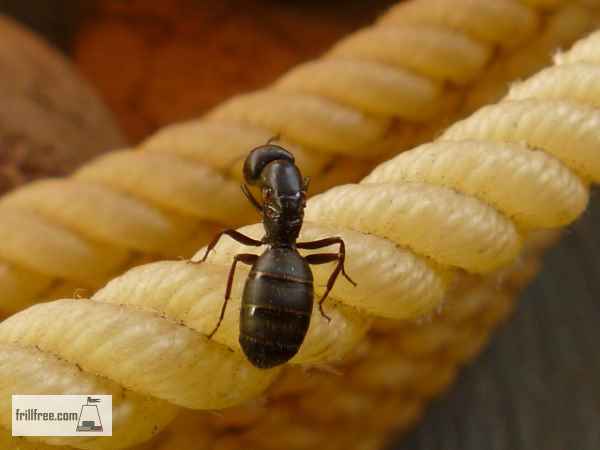 I have heard that ants need water, so if you have a dripping tap, drip irrigation, or underground sprinklers, this would certainly account for them moving in. They also like buried wood, so their ideal situation would be anywhere that they have access to buried roots, decaying raised beds or other wood possibly buried during house construction. There isn't much you can do about that, but you can use their taste for sugar against them; I've found that they love icing sugar mixed with Borax, which they take home to the nest, feed it to all the queens and juveniles, which kills them. Sometimes this is the only way to get rid of them, and a couple of things you must keep in mind; borax is not only toxic to ants, but dogs too, and probably other critters. Keep your bait stations well away from where dogs will be exposed to them, and dispose of them once the ants clean them out. You may have to do this several times to be sure you have got them all. Apparently, they also really like corn meal, which swells up inside them and kills them, but I've never tried this. If you do find the nests, boiling water will take care of them without any hazard to pets or other creatures. Hope that helps with your ants! The one thing that Liz may be doing wrong is to bury the compost right in the garden - I suggest composting it in one place, then adding the finished compost to the garden as a mulch or in the planting holes. Diatomaceous earth placed where they'll walk through it (they use the same path over and over again) will desiccate their shells and kill them. Let the birds take care of them - woodpeckers especially like the larvae. All of the suggestions here take time - they're not one and done. Persevere and don't give up. I also believe in the 'live and let live' philosophy. Allow some of them, as long as they're not getting too big for their boots as they're a useful part of the ecosystem.